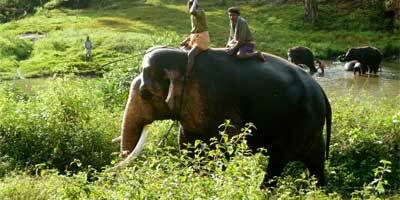 Both Mysore and Ooty are captivating tourist destinations. Mysore, the home to enchanting palaces exhibits a blend of grandeur and historic elegance. The idyllic vacation getaway boasts of its emblematic monuments, heritage structures and natural sightseeing spots. The city beaming with history and nature proves to be a perfect travel gateway. 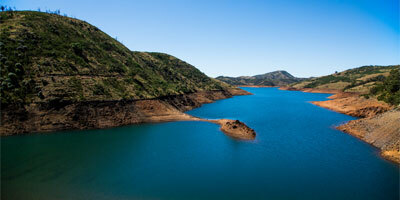 Ooty also known as Udhagamandalam has been attracting several tourists, seeking a visit to pristine hill stations. 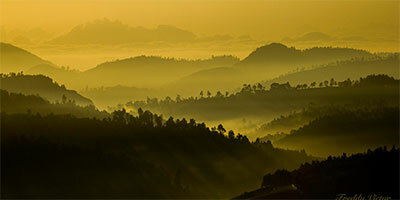 Perched at a height of 2240 m, Ooty offers a plethora of fascinating sightseeing spots. The rolling hills, lush green tea plantations, dewy flowers, unique tribal hamlets, glistening blue water lakes, dense shola forests, rich variety of flora and fauna allure tourists for an enthralling experience to the tranquil place. Discover the splendours of the majestically maintained Botanical Gardens that houses diversified variety of foliage. Endowed with surreal beauty, the town provides ample opportunities for activities like trekking, trout fishing and rafting. Planning an excursion to Ooty from Mysore offers a beguiling experience of a scenic voyage as the whole route between the two vacation gateways is covered with beautiful landscape. There is no direct train between Mysore and Ooty as such, travelling by road would be the most viable option. The total distance between Mysore and Ooty is 136 km which can be covered in around 4-5 hours by bus depending upon the operator, driver, climate and traffic. Alternatively you can even choose from an array of cab services provided by us according to your needs. The other option for travelling to Ooty from Mysore is hiring a cab. We have designed a variety of cab services for you to choose from according to your comfort. Boarding a cab would take around 3 hours to reach Ooty. 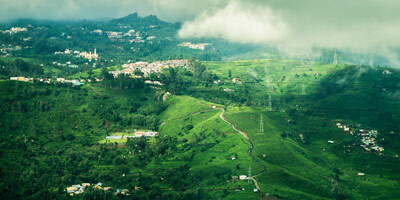 Situated on NH181, Ooty is well connected with the neighbouring cities through road. There are many buses plying between the two tourist destinations which are run by KSRTC, TNSTC, SETC and other private operators. On the Mysore to Ooty route, lie two well known national parks namely, the Bandipur National Park in Karnataka and the Mudumalai National Park in Tamil Nadu. The route proffers a mesmerizing experience as being bound by stunning scenery, steep slope and thrilling hairpin bends. There are two routes connecting the two famous holiday destinations of Mysore and Ooty. We can travel from Mysore to Ooty through Masinagudi(136km) or Gudallur town (183km). Both routes cover Nanjangud, Gundipet, Bandipur National Park and Theppakkadu. From Theppakkadu you can move either through Masinagudi or Gudallur. The route from Masinagudi is quite narrow and has several hairpin bends but is a shorter route to Ooty. 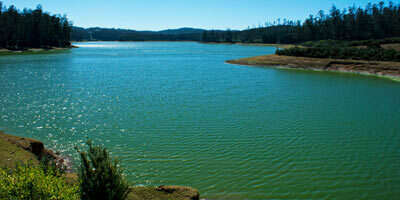 Travelling via Gudallur town, you encounter the serene Pykara lake before reaching Ooty. It is a two-lane road offering more comfortable journey however it would take longer to reach Ooty as compared to the Masinagudi route. There are several hotels, dhabas, petrol pumps and ATMS on both the routes. The journey to the famed hill station itself is enticing as the route is surrounded by gorgeous scenery and its pleasant climate provides you a relaxing experience.